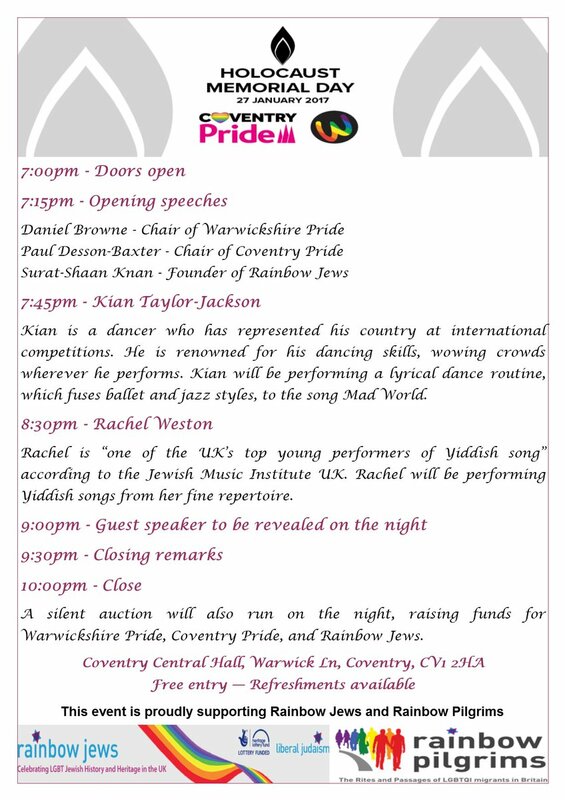 To mark Holocaust Memorial Day, Warwickshire Pride and Coventry Pride are putting on a joint event at the fabulous Central Hall in Coventry city centre. As you will know, the holocaust is a dark period in history. Millions of people were killed. Most of them were Jewish, but it was also common for gay people to be persecuted. Transgender, intersex and disabled people, as well as lesbians and feminists, were also rounded up as asocials. And of course there have been, and are, many other holocausts and genocides. To mark Holocaust Memorial Day on Friday 27th January, a most wonderful event has been put together. There will be a mix of music, song, dance, storytelling and guest speakers. A silent auction will also run, raising vital funds that will be split between Warwickshire Pride, Coventry Pride, and the Rainbow Jews project. We are very pleased and honoured to be welcoming internationally renowned Yiddish singer Rachel Weston to this event. Rachel is one of the top performers of Yiddish songs and is kindly donating her time and talent to support this charity event. Also appearing is acclaimed dancer Kian Taylor-Jackson, who will be performing a lyrical dance in remembrance of the victims of the holocaust. We are also pleased to be welcoming Surat-Shaan Knan, founder of the Rainbow Jews project, to this event. 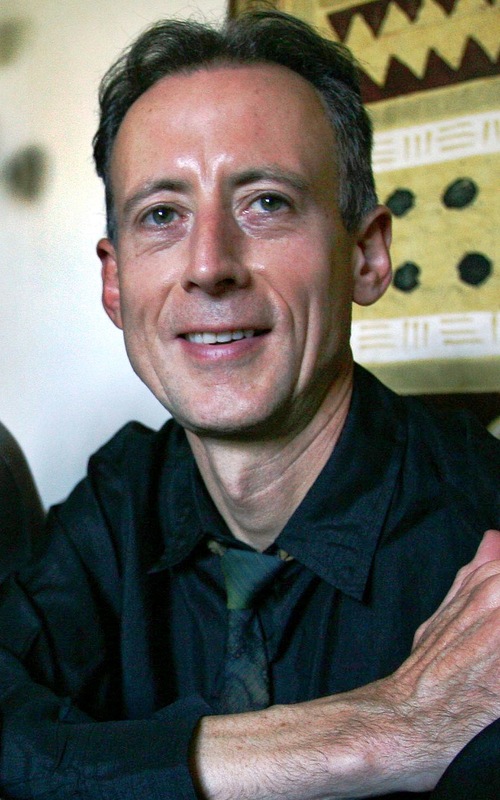 He will be providing information on the brand new oral history project, Rainbow Pilgrims. Entry is free, although we would welcome any kind donations. Refreshments will be available. Children and families are very welcome to attend; it’s an event that is open to all people. A full event programme will be made available when it has been finalised. We look forward to welcoming you on 27th January as we remember the victims of the holocaust.